Elaine Hancock (Olney, United States) on 24 March 2019 in Plant & Nature. wow...a superb image with a lovely caption !!! Soon....the tree will put forth new leaves and flowers I am sure!!! Wonderful naked tree silhouette ! A beautiful BW and mood ! Un arbre de toute beauté et une très belle composition. Very graphic and esthetic ! Greta catch ! well done ! 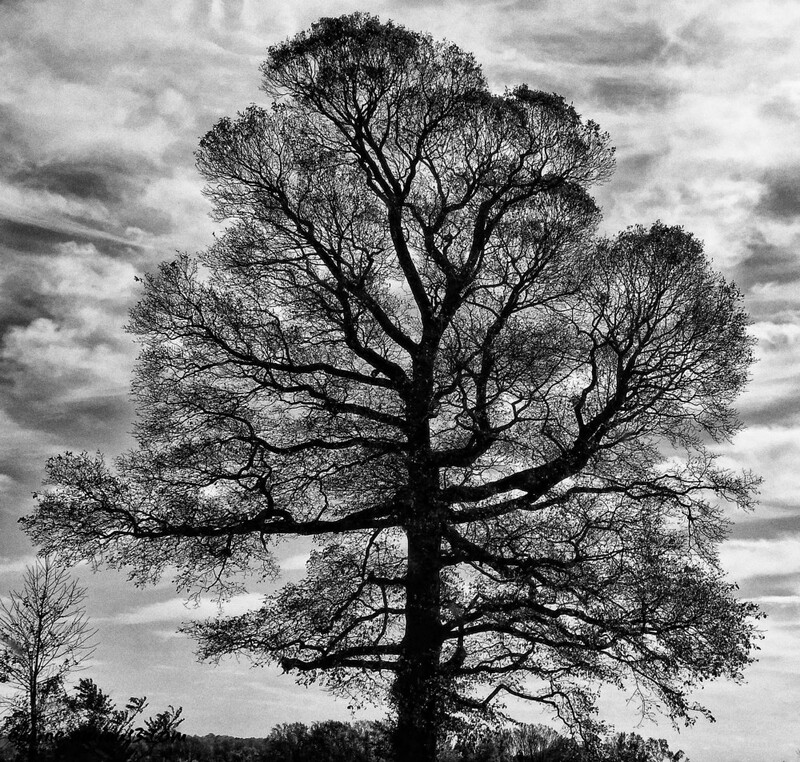 I absolutely love trees in greyscale. Gorgeous image. Stunning in B&W. I love the shape of the tree and its branches. Wow...Wonderful image of the tree ! Soon it will fill out with leaves until there is no light shining through the branches. Nice silhouette. The dark silhouette of the tree against cloudy sky looks magnificent. A gorgeous tree in silhouette against that excellent sky. @omid: Thank you very much Omid! Congratulations on the Spotlight ! Well deserved ! @Ralf Kesper: Thank you Ralf! Congratulations on the Spotlight. A superb image Elaine. @Jean-Luc.M: Thank you so much Jean-Luc! @Gérard Flayol: Thank you very much Gérard! @Ruthiebear: Thank you so much Ruthie! @Steve Rice: Thank you so much Steve! Stunning composition of this tree with its dense network of branches forming a great silhouette against the beautiful sky! Congratulations on the Spotlight! @Steven: Thank you so much Steven!